A federal court issued a preliminary injunction on November 22, 2016 blocking implementation of the rule pending further review. The current overtime regulations remain in effect, including the exempt classifications, and we will provide updates as necessary. Today President Obama and Secretary of Labor, Thomas Perez, announced the Department of Labor’s (DOL) final rule regarding overtime regulations, which will go into effect on December 1, 2016. The final rule expands the number of employees eligible for overtime pay under the Fair Labor Standards Act (FLSA). Currently, salaried workers who primarily perform executive, administrative, or professional duties who make more than $455 per week ($23,660 annually) are exempt from overtime protections under the FLSA. 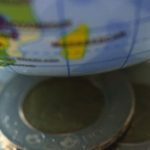 The final rule raises the salary threshold to $913 per week ($47,476 annually). As a result, most salaried white collar workers who make more than $455 per week and less than $913 per week but were previously exempt from the FLSA overtime pay will now be eligible to receive overtime payments for any hours worked in a work week that exceeds 40 hours. 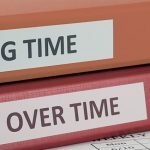 Some employees who are compensated less than $913 per week may still be exempt from overtime eligibility if they perform certain duties that are categorized as exempt from overtime eligibility under the FLSA. The final rule also raises the compensation threshold from $100,000 to $134,004 annually for certain highly compensated employees whose duties are subject to a more minimal test to determine whether they are exempt from overtime eligibility under the FLSA. These thresholds will automatically update every three years beginning January 1, 2020. Many employees of nonprofit organizations will not be affected by the final rule, which has no impact on hourly workers; employees who work no more than 40 hours a week; or workers who do not primarily perform executive, administrative, or professional duties. If you have white collar employees who were previously exempt from overtime pay under the FLSA because their salaries exceed $455 per week or have questions about which job duties are considered overtime exempt for FLSA purposes, we are happy to assist you in determining whether the final rule applies. As of yet, the status of ministers as professionals, who may not meet the new minimum salary test, is unclear. The DOL’s past position and two federal court precedents indicate that clergy will not be subject to the minimum wage and overtime pay requirements, no matter how low their compensation, due to the ministerial exception. For more information on exempt employee classifications, click here.